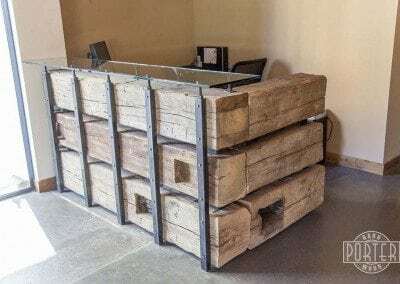 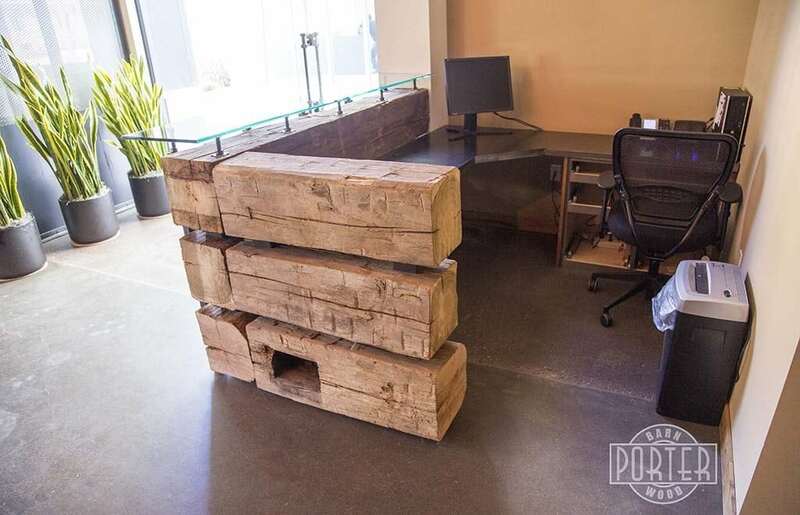 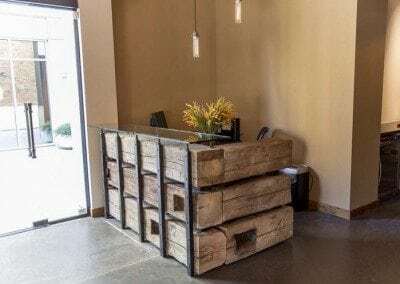 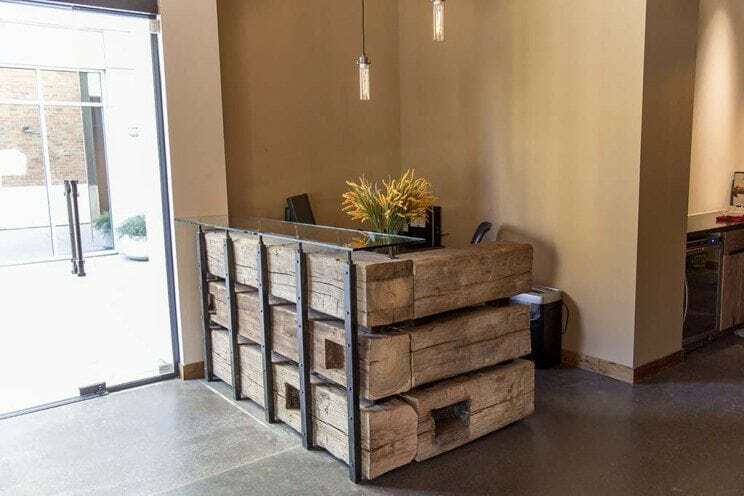 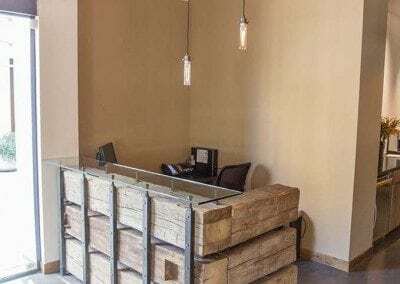 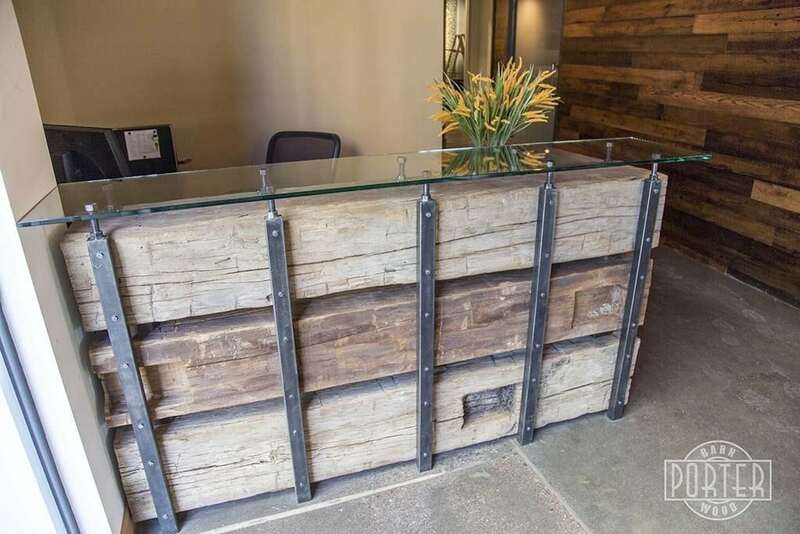 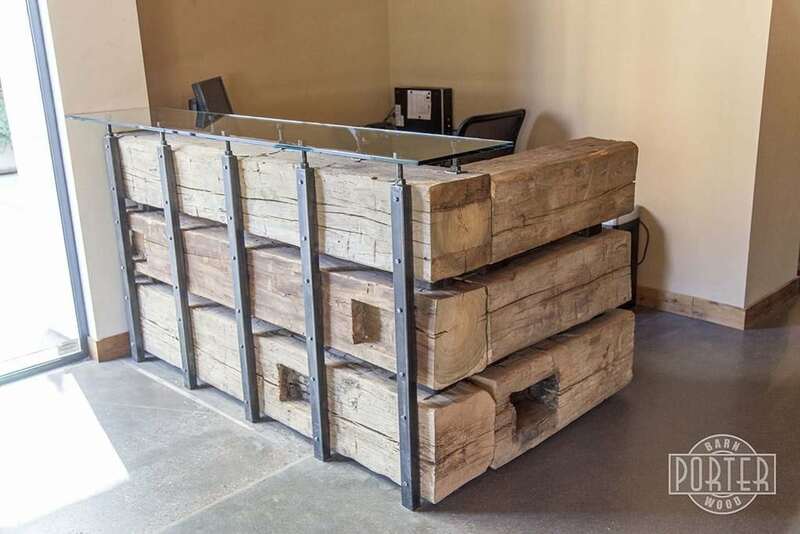 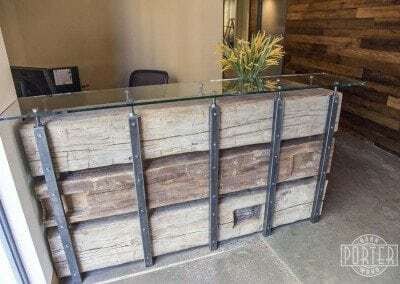 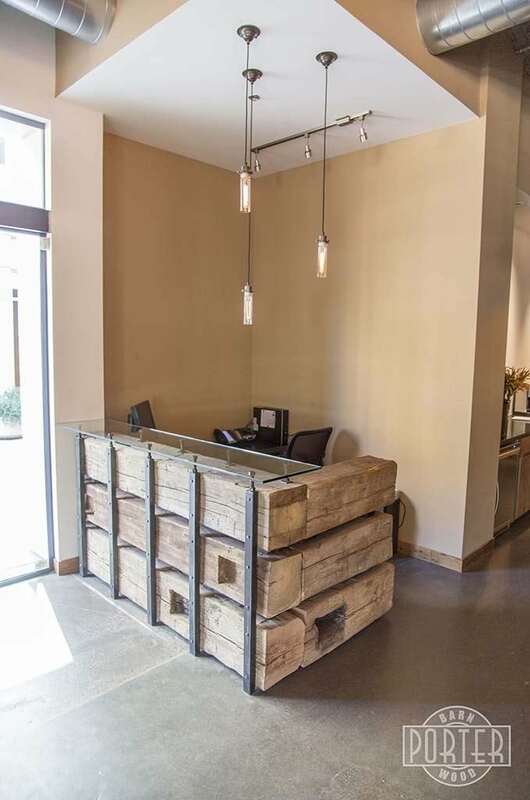 This reclaimed hand hewn beam reception desk was an exciting project. 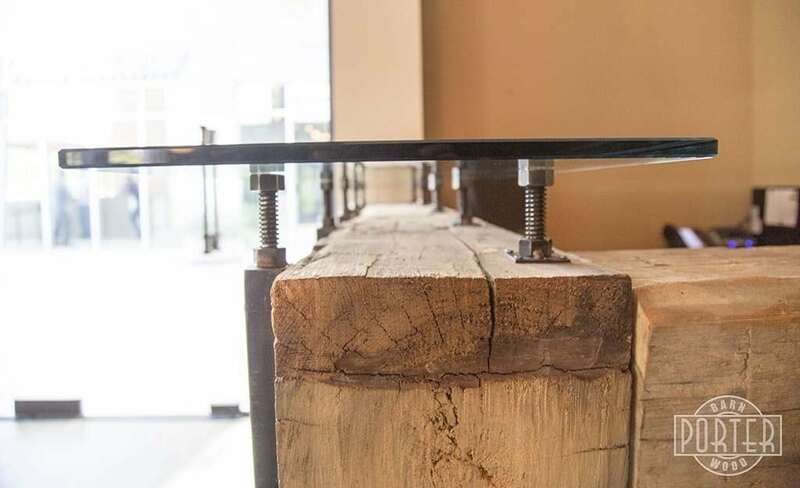 As simplistic as it might look, the desk has some intricate mechanics. 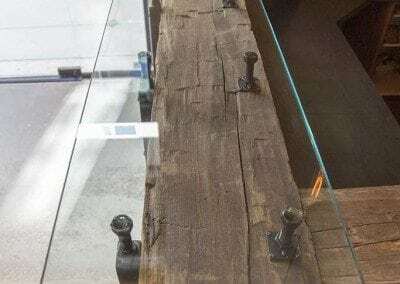 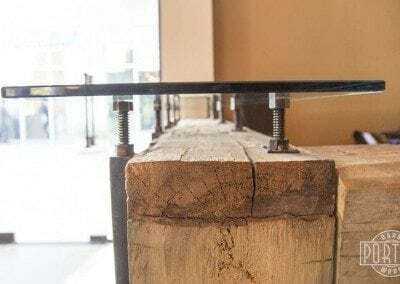 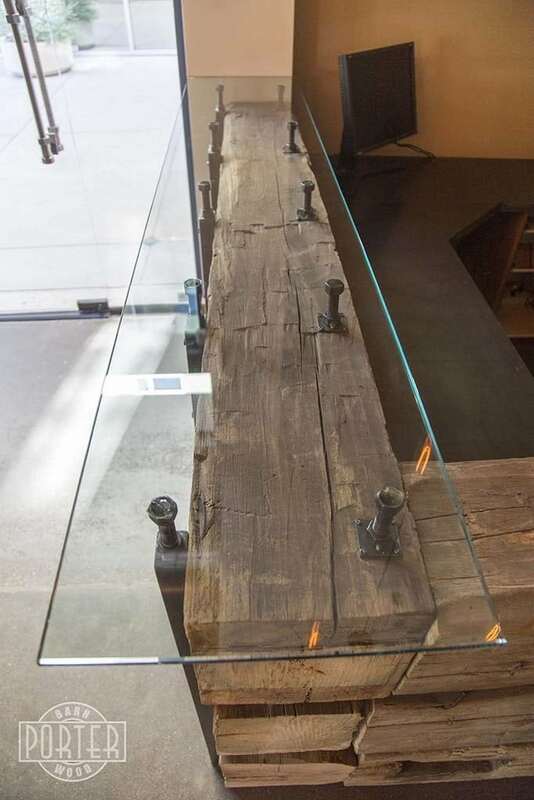 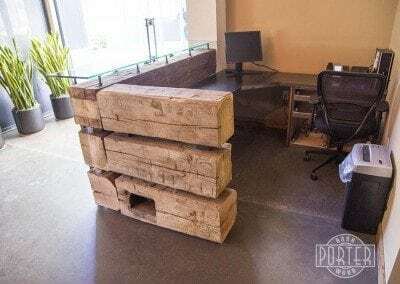 The desk features a mixture of reclaimed hand hewn beams, a steel counter top for the receptionist and custom hardware made by Porter Iron Works, and is topped off with a beautiful piece of glass for the clientele.